Pete Buttigieg today said he’s focused on providing substance to voters and developing an organization that can capitalize on the surging interest in his campaign for the Democratic Party’s presidential nomination. “I’m under no illusion that looking good in April of ’19 means that we’re where we need to be in order to win this thing,” he told Radio Iowa early this evening. Buttigieg’s break-out performance in a CNN town hall broadcast in early March led to a significant spike in campaign contributions and better standing in the polls. Buttigieg said now that he’s “earned a look, even from people who didn’t take us seriously before,” he plans to give voters a sense of who he is. 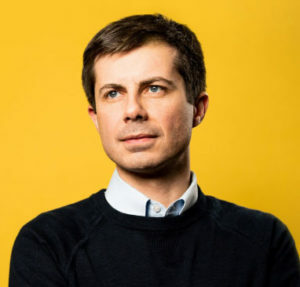 Buttigieg, a 37-year-old, Harvard-educated Rhodes Scholar, is a veteran of the war in Afghanistan. He’s been the mayor of South Bend, Indiana, for the past seven years. However, Buttigieg said avoiding “policy minutiae” while explaining core values is still his goal. Buttigieg spoke with Radio Iowa as he traveled between events in Fort Dodge and Des Moines. Buttigieg addressed nearly 1700 people earlier this evening outside a Des Moines school.